The Witcher, written by Andrzej Sapkowksi, is coming to Netflix. While many have not read the books (or listened to the fantastic audio tapes), you have likely at least heard of the video game franchise. The Witcher 3 in particular has a very large following. Wanting to continue that success and compete with other premium shows, such as Game of Thrones, Netflix has pushed towards development of this series. There’s no set date of release just yet, but we do know that the writers are attempting to not stray too far from the lore, much to the delight of those faithful to the books and games. You can expect the usual suspects to be in it, such as Geralt of Rivia, Yarpen Zigrin, and many more. Hopefully this ends up better than Netflix’s live action Death Note movie. Dark Souls is an amazing game, and it is being remastered! They have called for assistance for a worldwide network test, to make sure that their servers can withstand the abuse of the numerous users that will be slaying monsters, as well as each other. The test is available for download for PlayStation 4 and Xbox One from 5/1/2018 to 5/7/2018, and will take place during 5/11 through 5/12. Dark Souls: Remastered boasts a lot of new features, beyond just improved graphics. It will run with an improved framerate at places like Blighttown, support 6 players at once in online combat, covenants can be switched at bonfires, and more. BioShock Infinite is out. Thank you 2k Games w/ Irrational Games, for this lovely new BioShock chapter in the BioShock series! Many of you are familiar with these games. They are spooky, first person shooters (FPS) games that have RPG elements and a storyline shrowded in mystery. 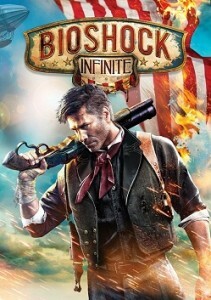 In this particular saga — BioShock Infinite, you ex Pinkerton Agent Booker DeWitt. So what is Your mission? To save Elizabeth, derp! Just FYI — this game is available on Windows PC (Steam, Origin, DVD), Xbox 360, and PlayStation 3 (PS3). So enjoy console gamers and computer gamers alike! But you’re not here for a summary of the game. Right? I hope not. Because you should be here because of encountering BioShock Infinite errors, lagging, crashing, stuttering, or suffering issues. Perhaps you are even trying to troubleshoot some sort of other problem! Read our suggested BioShock Infinite game fixes. Our list keeps updating so be sure to come back if we don’t have a working solution for you as of right now. And if you know of any game fixes that we don’t for this game, then please share. We’d love to hear them! Just FYI, this is actually being played on a PC right now despite it being advertised as otherwise, but it is suppose to look very similar on the PS4. It’s a nice gameplay trailer. My thoughts: the game looks fun AND the graphics are great! Good use of physics and so forth and nice concept (from what I can see).